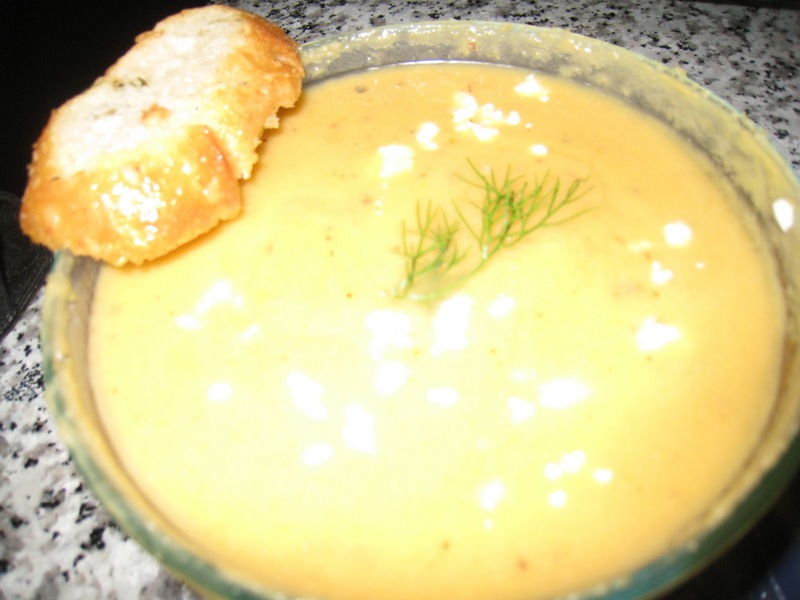 Last Halloween, we experimented with a kitchen-sink style soup that was orange, healthy and delicious. When something works out this well, it bears repeating. I dare we say we've even improved on it. Our winter version includes roasted shrimp and garlic toast. See what you think! Meanwhile, in a large sauce pan, add roast vegetables to chicken broth and bring to a boil. Reduce heat, and using an immersion blender , blend until smooth.